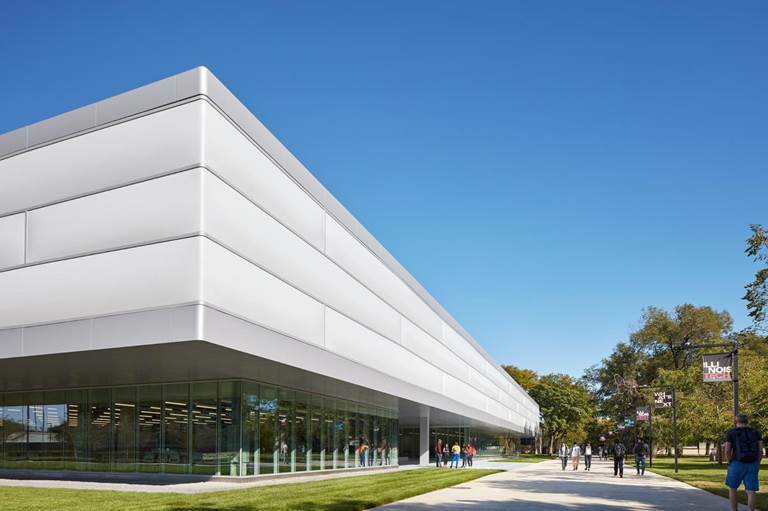 The Ed Kaplan Family Institute for Innovation and Tech Entrepreneurship, a new 70,000 square foot building at the Illinois Institute of Technology designed by John Ronan Architects—the firm of John Ronan MArch ’91—is now open. The space, which includes state-of-the art prototyping and fabrication facilities, will provide exciting opportunities for collaboration around student-driven innovation and entrepreneurship. “It’s an idea factory—a place of creative collision between students and faculty across disciplines, where new ideas are explored and tested on their way to becoming meaningful innovations,” Ronan said in a press release. The founding principal of John Ronan Architects, Ronan also holds the John and Jeanne Rowe Endowed Chair in Architecture at IIT.